The recently opened Artegon Marketplace in Orlando will be hosting a Free Valentine’s Arts & Crafts kids’ program on Saturday, February 7. From noon to 5pm, young ones can make cards for loved ones, and enjoy activities such as face painting, an obstacle bounce house, arts and crafts and live music. The weekend of February 14-15, The Midnight Clogging Express and the Giant Puppets will be entertaining guests all weekend. Sat from noon-6:30pm; Sun from noon to 5:30pm. The weekend of February 21-22, Artegon’s resident juggler Cool Hands Luke, along with Street Breakz and Street Beatz will be performing throughout both days. Sat from noon-7:30pm; Sun from noon-6pm. The weekend of February 28-March 1, acoustic duo Fred and Danielle perform in the Great Hall of Artegon Marketplace. Sat from noon-7pm; Sun from 1pm-6pm. Looking to do something different for Valentine’s Day? 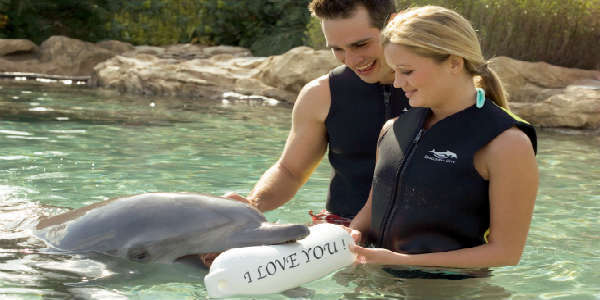 Surprise your sweetheart with a trip to Discovery Cove theme park in Orlando. Florida residents can now gift a day of discovery starting at $219 (+ tax) for the dolphin swim experience, and starting at $149 (+ tax) for the day resort package minus the dolphin. Enhance your visit with package add-ons, like the Celebration Package for $159 (+ tax), which includes a buoy with a personal message delivered by a dolphin. 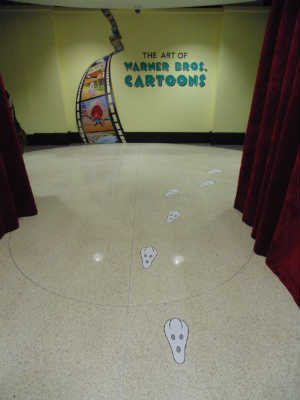 Visiting the new The Art of Warner Bros. Cartoons exhibit at the Orange County Regional History Center is a fascinating look at the cartoons we all grew up with. But if you want to make your visit a little more special, the History Center is hosting several events during the run of the exhibit that bring a little extra to the experience. Saturday Morning Cartoons events will take place Feb 1 and March 1 mornings (9-11am) and will feature cartoons with breakfast. Cost is $14 children 5-12, $18 for adults, and $36 for a family (2 adults and 4 children under 18). Discounts are available for members. Warner Bros. Valentine’s Day Date Night takes place February 15, and will feature romantic Warner Bros cartoons, along with popcorn, wine, champagne, and chocolate. This event is free for members and $15 for non-members. February 19 is Home School Day: Outlaws, Mayhem, and Mischief!, where kids can learn about the judicial system, the workings of law enforcement, and what it takes to become a lawyer. Cost is $10 students and $6 adults ($6 students and $3 adults for members). 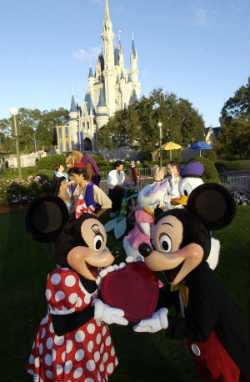 As its fifth Limited Time Magic event, Walt Disney World will bring True Love Week to its parks from February 11 through 17, 2013. Love is in the air at Walt Disney World Resort as fairytale princesses find true love with their princes, and “happily ever after” becomes reality. Special sweetheart-themed decor will adorn the Magic Kingdom, and at dusk, hues of pink, red, lavender, and blue will bathe Cinderella Castle, with themed lighting synced to musical melodies, adding to the ambiance. To book visit Disneyworld.com or call 407-WDW-DINE. There will also be opportunities to have photos taken with famous Disney couples. In Town Square Theater you may find Mickey and Minnie, Aurora with Phillip or Rapunzel and Flynn. Mary Poppins joins Bert in Fantasyland, while Prince Naveen and Princess Tiana meet guests in the Enchanted Glade in Liberty Square. Even without the characters, romantic photo ops will abound, from Cinderella’s Glass Coach in New Fantasyland to The Rose Garden in Central Plaza. And let’s not forget all the Valentine’s-themed merchandise that will be on sale all over the park. For more information on Limited Time Magic at Walt Disney World, visit LimitedTimeMagic.com. Looking for an unusual way to celebrate Valentine’s Day this year? Then you might want to consider the special package being offered by the show DRIP. A gourmet four-course dinner where each course comes in one of the four colors used during the DRIP show – orange, blue, yellow, and red. Food will be provided by DRIP’s catering partner, Cool Events, and vegan options are available. It’s recommended you reserve ASAP, since this package is limited to only 100 people per night. Regular shows have also been selling out on the weekends, as well, so get your tickets while they’re still available. I had a chance to review DRIP earlier this month, and I loved it. It is really one of the most fun adult shows in Orlando. That’s right, no kids allowed, since everyone needs to be 21 and over to play…er…attend. DRIP is located at 8747 International Dr, on the backside of the building that houses Denny’s and Senor Frogs. For more information, or to purchase your tickets, visit ILoveDRIP.com.